Offset Shares A Video Of Partner Cardi B Giving Birth To Their Daughter Kulture! Cardi B made history this week after becoming the first solo female artist to win a Grammy in the Best Rap album category. 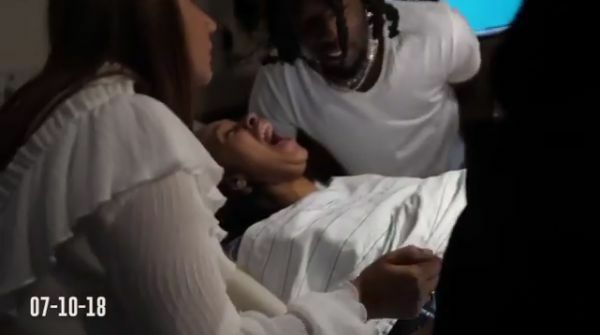 Husband Offset (of the rap trio Migos) shared a video to Instagram, perhaps in celebration of his wife’s win, which gives us a never-before-seen look at Cardi giving birth to their daughter Kulture last year. The video shows Offset standing by Cardi’s side (who is clearly going through some major labor pains) watching her give birth to their daughter. After Cardi screams, Offset looks clearly concerned and uncomfortable by what he’s seeing and hearing! The video then transitions to a pink background that simply states “2-22-19,” which is the release date of Migos’ forthcoming album Culture III and documentary. Cardi and Offset had a secret wedding in September 2017 with the pregnancy being announced several months later in April 2018. 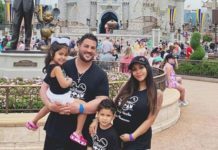 In December, the couple looked to have broken up following allegations that Offest was caught cheating with another woman. However, all that looks to be behind the fiery couple as Cardi brought Offset to the Grammys and called him her husband onstage. 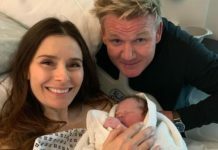 The new mum seems to be loving motherhood and just recently shared a video of seven month old Kulture in a baby walker. “After a week only saying papa !She saying mama! Happy 7 months Kulture ! We love you @OffsetYRN @HennessyCB #michellemelo,” she captioned the video. So cute! Previous articleCarrie Bickmore Shares A Very Relatable Photo Of What Parenthood Looks Like! 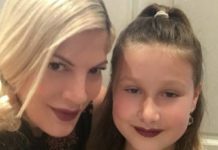 Next articleTori Spelling And Husband Dean McDermott Aren’t Ruling Out Baby Number Six!